This is the first of our two-part series on using telehealth technology to reduce the problem of patient no-shows and same-day cancellations. Everyone agrees that no-shows are no good. No-shows reduce revenues, waste staff time, create artificial access problems, and negatively affect patient care. Short of sending a car to pick each patient up, what can you do? We’ve looked at a lot of advice given to practices to address the issues of no-shows and same-day cancellations. They also fall into a number of buckets. Appointment Reminders: Obviously squarely aimed at the issues of forgotten appointments, there are lots of suggestions to reduce no-shows through appointment reminders. Automated or personal reminder calls, email, text and the like are all offered as ways to make sure the appointment is top of mind. These are all very useful suggestions, but none addresses the many other reasons that no-shows occur. No-show Fees: Charging patients for a no-show or same-day cancellation is one approach that we find is more often suggested than used. Why? No-show fees can lead to a decline of good will. They may also compound financial concerns that may be causing the no-show in the first place. They may also make a patient less likely to schedule a follow-up appointment at all. Overbooking: Realizing that some number of no-shows is inevitable, some practices turn to overbooking as a way to ensure efficiency. Of course, you can’t predict when no-shows will happen, so overbooking can lead to long wait times, stressed staff and frustrated patients. It also puts practices in the odd position of hoping for no-shows. None of these approaches are necessarily bad, nor do they need to come off the table. However, there is an alternative that more fully addresses the reasons people no-show, without the potentially harmful effects of no-show fees and overbooking. Telemedicine. 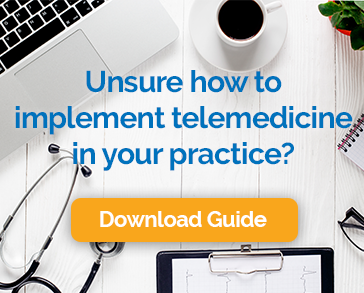 In Part 2 of this series, we’ll talk about how telehealth technology addresses each of the most common reasons people fail to show up or cancel at the last minute.